EghtesadOnline: As part of its plans to reform the limping banking sector, the government has launched a program to sell excess property of state banks. According to the Economy Minister Farhad Dejpasand, a one-year program is underway for 10 government-owned banks (including the biggest lenders) to relinquish the excess assets–mostly real estate – and increase their cash reserves. He did not name the banks. Responding to a question by the Financial Tribune on the sidelines of an event in Tehran last week, Dejpasand said the banks have had good cooperation with the Ministry of Economy in this respect. In a TV interview late Monday, Dejpasand announced a figure for the banks' excess property holdings, saying based on the latest price evaluations it amounts to an estimated 1,000 trillion rials ($8.5 billion), Financial Tribune reported. Dehpasand, who took office three months ago after his predecessor was ousted in no-confidence motion in parliament, said he hoped that by divesting the properties through the stock market, it is hoped that 80-100% will be sold within the one-year timeframe. A part of the banks' properties has evolved through foreclosure of collateralized assets and the rest through boggled investments of banks during the boom in real-estate in the years past that later went bust. Previous economy ministers and Central Bank of Iran governors tried and failed to reduce bank's non-banking activities that most experts and senior government officials say is a major hurdle to healthy and transparent banking. Dejpasand told the TV program that he is serious regarding this key problem and would report related developments to the public. 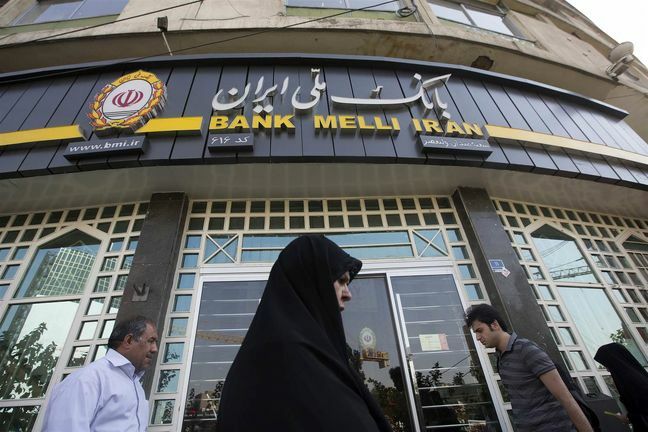 Another issue notable for Iranian banks – and one related to their extra activities – is that the number of their branches spread out all over the country. Recently deputy economy minister for banking affairs, Abbas Memarnejad, said according to studies by his ministry and based on different criteria such as GDP and population, there should not be more than 12,000 bank branches. This is while according to CBI s there are 23,458 bank branches that have apparently become an unwanted burden, especially in the present difficult economic times. Asked why there are so many unwanted branches, Dejpasand said in some areas there is a shortage of bank branches while some are saddle with a surplus. "Regarding expansion of electronic banking we are in a position that to cut operational costs of banks and free assets to improve lending capacity to the private sector, some branches could be closed," the minister said. "This is a move toward banking reforms and we should welcome it. We need to shutter branches that have lost their usefulness." Dejpasand called for caution in closing the extra bank branches and avoid haste in the process. Commenting on the issue, Ahmad Hatami Yazd, a former chief executive of Bank Saderat Iran, told the Financial Tribune that the problem with the banking sector is as much with the large number of branches as it is with the "financial structure" of lenders. Comparing the number of banks in Iran with Bahrain –the tiny Persian Gulf kingdom has 80 banks while Iran has 30 – he said if lenders' financial structures are strong and healthy, their physical numbers would hardly be subject to dispute. Hatami Yazd referred to the CBI regulation that says banks’ properties (or fixed assets) “should not exceed 30% of their fixed assets” and considers it as a golden rule that must be upheld. According to the senior banker, the 30% ceiling is observed by no Iranian lender. Another issue, according to him, is the capital adequacy ratio of banks, which according to Basel III rules should be above 10%. The figure for many banks in Iran is anything between 2-5%.